Protein powders, protein shakes and protein bars – protein has got very popular. For many people, these products are just the latest fad, but for others, getting enough protein in the diet is a critical part of their health and their lifestyle. Of all the options out there, the best hands down is whey protein, and no, it isn’t just for bodybuilders. But, what is whey protein good for? Well, whey protein is a high quality, quickly absorbed form of protein that can contribute to weight loss, muscle gain, improved cardiovascular health and much more. Whey protein has become a pretty big deal in recent years, particularly for bodybuilders and people trying to improve their health. But, it isn’t even obvious what exactly the protein actually is. As the name suggests, whey protein is a mixture of proteins that have been isolated from whey. Whey is found in the watery fraction of milk. In the production of cheese, the fatty parts are used to form the cheese while the watery component is discarded. This is then used to produce the whey powder that is becoming increasingly popular (1). In fact, you may have seen whey itself before, without realizing it. When you open yogurt, there is often a layer of liquid that floats on top. This layer is the whey. While the whey used to be discarded in cheese making, the demand for whey protein has made it a lucrative product (2). The two main reasons for this are the nutritional properties of whey protein along with the functional properties that it offers food. From the nutritional perspective, whey contains important minerals as well as lactose and proteins. Functionally, whey protein works well with food and liquids because of its solubility (3). One of the biggest aspects of taking whey protein is the protein side of things. This isn’t the only answer to 'what is whey protein good for' but it is a pretty major one. Because of this, protein is a topic that we are going to come back to a few times over the course of this article. Not only is protein important, but it is also highly controversial. There are a lot of different viewpoints out there about how much protein you should be having. I will address these controversies later on in the article and provide evidence. For the moment though, take my word that protein is a very important part of the diet – and many people aren’t getting enough. Whey protein is particularly important as a source of protein because the protein is absorbed quickly into the body, more so than most other sources of protein (4). Indeed, whey protein is considered as fast protein, which means that it is absorbed quickly in the body. This may make it particularly relevant for slowing the processes of protein loss that typically occur during aging (5). Whey protein also has a higher protein quality rating than most other proteins (6). This makes it a fantastic choice as a way to include protein in the diet. Whey protein contains a mixture of different proteins. The image below shows how the proportions of these proteins, although the proportions may not remain the same in the final protein powder that is sold. The most prevalent of these is β-lactoglobulin (beta-lactoglobulin) and the second most common protein is α-lactalbumin (alpha-lactalbumin). Other important proteins include serum albumin and immunoglobins (7). These proteins have a range of different potential impacts on health. For example, α-lactalbumin can change the ratio of amino acids, promote increased serotonin activity and improve mood (8). Many of these proteins are branched-chain amino acids (BCAAs). This type of amino acid plays a role in increasing muscle synthesis and potentially energy as well (9,10). Research has even indicated that BCAAs may play a role in increasing lifespan overall (11). Other components of whey are also important. One example of this is lactoferrin, which is an important part of the human immune system (12). A pilot study also indicated that lactoferrin could inhibit the progression of the hepatitis C virus in the body (13). Indeed, whey protein itself has been proposed as a viable treatment for patients with chronic hepatitis B, although the study did not find significant changes in patients with chronic hepatitis C (14,15). Likewise, L-glutamine is another compound that offers significant health benefits. In particular, L-glutamine can help to improve the ﻿﻿gu﻿﻿t. This includes helping the intestines in repairing and rebuilding (16), as well as helping to heal ulcers (17). One research study on patients with HIV found that L-glutamine can also help to reduce the severity of diarrhea (18). Indeed, L-glutamine is so significant for health that some people choose to take it as a supplement. Whey contains a significant amount of essential amino acids and these may be critically important for increasing the benefits associated with physical activity (19). This outcome isn’t just beneficial for body builders, but for anyone who is trying to l﻿﻿os﻿﻿e we﻿﻿igh﻿﻿t or get healthier in general. For example, whey protein is high in cysteine, an amino acid. Cysteine is significant, because it has the ability to increase the production of glutathione. Research has illustrated that supplementation with whey protein can indeed increase plasma levels of glutathione (20,21). Glutathione has many key functions. In particular, it is a powerful antioxidant (22,23), helps to regulate the nitric oxide cycle (24) and plays an important role in iron metabolism (25). By its nature, whey is a complicated product and we do not fully understand the biological function and potential benefits of all components of the proteins that make up whey. This means that whey may offer many as-yet undiscovered benefits to health. Within the body, muscle is constantly being built up and broken down. Protein plays a key role in this process and getting enough protein in the diet is needed to build muscles (26). When people try to lose weight, a common approach is to decrease the amount of calories that they take in. This pattern often means that people cut out many good sources of protein. If you don’t consume enough protein, then the process of weight loss will cause you to lose both weight and muscle (27,28). The pattern is a frustrating one, and far from ideal. Realistically, you want to be losing fat while increasing your muscle mass. One reason for this is appearance. Some people lose weight to improve their health, but for most of us, the desire to look good is a major factor in the decision. When you lose weight and muscle, you end up in a situation known as skinny fat. People who are skinny fat might be small and have a good overall weight, but they have a body fat percentage of 30% or above. A second thing to consider is health. There are a lot of health risks associated with being overweight, including metabolic syndrome, increased risk of diabetes and increased risk of heart disease. Your percentage of fat plays a role in the health issues associated with obesity. This means that if you just drop your weight without paying attention to your body composition, you may still be at risk. In fact, many people who look visibly healthy and thin are actually very unhealthy, and may not even be aware of it (29). After all, we live in a society that is obsessed with the idea of being thin. With all that pressure, it is easy to put too much emphasis on weight and not enough on health. Researchers are beginning to strongly emphasize the idea of skinny fat (which they call normal weight obesity). People with normal weight obesity are those who have a normal BMI, but their body fat percentage is high (30). One study looked at data from 6,171 participants on a range of factors, including BMI, body fat and cardiovascular risk factors. The authors then divided the subjects into groups and compared outcomes for the group with the higher level of normal weight obesity versus the lowest level. They found that the group with high levels of normal weight obesity were more likely to have cardiovascular disease (in the females) and hypertension (in the males). Likewise, this group had an increased risk of death from cardiovascular disease (31). As I mentioned above, protein can play a significant role in helping people to gain muscle (32). This is one of the reasons why bodybuilders frequently supplement with whey protein, as do many people casually looking to gain a bit of muscle. Increasing protein, in general, can help with this process. Whey protein is a common choice because of its other health benefits, along with the fact that it can be easily added to healthy smoothies and consumed without hassle. This makes whey protein a much more practical solution in many cases than increasing protein intake through protein-rich meals. Protein is essential for building muscles - and dieting frequently cuts down on protein, resulting in a situation known as 'skinny fat' or normal weight obesity. Protein is also highly relevant for weight loss. In general, losing weight successfully involves burning more calories than we take in. Of course, this is much easier said than done, as anyone who has tried to lose weight through dieting will know. First, protein can help to boost the metabolism, increasing the amount of energy that is used (33,34,35). For example, one study examined outcomes in 10 females during either a high protein or a high carbohydrate diet. The authors of the study found significant differences in nitrogen balance between the two groups, which indicates a difference in energy expenditure (36). Even though the study was small in scope, it offers an indication of the differences in energy expenditure, something that the other cited studies also indicate. Much of the increase in energy used comes from an increase in gluconeogenesis (37). This process is the metabolic pathway involved in the production of glucose. The second way is even more significant. Eating protein can significantly decrease appetite and help people to feel full for longer. For example, research has shown that people on a high protein diet tend to feel less hungry compared to other diets. In some cases, this can significantly affect the amount of calories that people take in, especially for people who are actively trying to lose weight (38). For example, one study had female participants increase the proportion of protein in their diet from 15% to 30%. The authors of the study found that by doing so, the participants lost weight and ate fewer calories in a day (39). A study in obese men showed that higher protein meals significantly decreased appetite and contributed to improved appetite control (40). These outcomes are particularly important for anyone trying to lose weight, as they mean that eating more protein can potentially make it easier to make good decisions about food. The absolute best way to lose weight is to change your lifestyle in a long-term manner (41). Getting more protein in your diet can be one very good way of making a positive long-term change. The fact that you feel hungry much less often makes it so much easier to stick to a dietary approach. Myself, I have found that having a high protein diet means that I crave sweet foods much less. First and foremost, whey protein is an effective way to get protein into the diet. The bulk of research into the topic of whey protein and health has been strongly focused on protein itself and the role that protein can have on health. Nevertheless, there have been some studies that have directly considered whey protein and its implications for health, muscle mass and weight loss. ​Any consideration of 'what is whey protein good for' really has to start with a consideration of weight loss. After all, weight loss is the reason that many people choose whey protein to begin with. A particularly important study in this area was a meta-analysis that looked at r﻿﻿andomized controlled trials considering the impacts of whey protein on body composition and body weight. In total, the meta-analysis included 14 different randomized controlled trials, with a combined total of 626 participants. The authors found that the majority of studies analyzed supported the potential of whey protein to help improve body parameters, both in terms of weight loss and muscle gain (42). One of the key reasons that whey protein is so effective for weight loss may be because of how fast it is absorbed. Additionally, whey protein offers an important way to get protein into the diet without a substantial addition of calories. For people trying to lose weight, this can be important – and it’s one reason that protein shakes, in general, are so popular. Interestingly, whey protein has also been shown to have glucose-lowering properties for people with diabetes (43). However, research into that aspect of whey protein is still in its very early stages. Whey protein is strongly associated with significant improvements in risk factors for cardiovascular disease. Some research suggests that the compounds in whey protein may be the reason that increased dairy consumption is associated with significant health benefits (44). One study considered the impacts of whey protein in a sample of 70 overweight men and women. As part of the study, the participants were broken into three groups. One group received supplementation with casein, one group acted as the control (and received a glucose supplement), while the third group supplemented with whey protein. All groups received supplements that were visually identical and contained the same amount of energy. Both the casein and the whey supplements contained 27 g protein. The authors found that supplementation with whey protein significantly improved vascular function and blood pressure in overweight and obese participants (45). A similar outcome was found in a study that supplemented with fermented milk that contained whey protein (46). Another study found that whey protein was able to reduce blood pressure and also improve measures of arterial stiffness (47). That particular study looked at both whey protein and milk protein in general. Both had an impact on blood pressure, but the whey protein was the only one that impacted arterial stiffness. Some of the bioactive compounds of whey also contribute to improved cardiovascular health. These outcomes suggest that whey protein can reduce the risk of heart disease and other health conditions by reducing risk factors. Whey protein has the potential to play a role in protection against cancer and in cancer treatment (48). A key reason for this is the glutathione antioxidant system, which is an important system for protecting cells (49). For example, glutathione can help to protect against cell death from oxidants (50). Because of this, there has been a substantial amount of research into the impacts of the glutathione molecule. Research suggests that whey protein supplementation may provide a significant anti-tumor impact for some types of cancer because of this system (51). Including protein in the diet, such as adding in whey protein, has also been recommended as a way to contribute to a protective diet that could reduce the risk of cancer (52). How Does Whey Protein Powder Compare? If you go to the grocery store, you will see all types of protein powder. Whey powder is one example, but there are many others as well. This should be an indication that many people already have their own opinions about 'what is whey protein good for'. In fact, the selection is large enough to be extremely confusing, especially to people who haven’t done much research into the different types of powder. This is a particular issue when it comes to weight loss and people often don’t know what to choose. To make matters worse, whey protein tends to be marketed more towards body builders, while other brands are focused on weight loss. One critical example of this is the brand Slim Fast. This is marketed as a ‘protein shake mix’. That isn’t really the same as a protein powder, but many consumers w﻿﻿on’t real﻿﻿ize the differ﻿﻿e﻿﻿nce. The marketing on Slim Fast makes it one of the more obvious choices for people trying to lose weight, especially as the powder itself is relatively inexpensive. Additionally, the brand has ready-to-drink shakes that also appeal to many people trying to lose weight. Despite all this marketing, the brand is actually a poor choice for weight loss, particularly compared to whey protein and actual protein powders. The first indication of this comes from the ingredients list for the powder. The very first listed ingredient is sugar, followed by cocoa. In fact, protein itself doesn’t turn up until part way through the list. This explains why the powder tastes so good and why it mixes well with milk, but that doesn’t help with weight loss. 10 grams of protein per serving is relatively decent for a protein powder. There are better of course, but that doesn’t sound too bad. There’s a catch though, just look at the text under the claim. So, the 10 g of protein includes the milk you prepare it with (assuming you even prepare it will milk). In reality, the powder itself only contains 2 g of protein per serving. That’s a really low value. In comparison, I want to look at one brand of whey. I’m choosing this one because it is actually what I have in the house at the moment, so I’m not saying that it’s the best in the market or anything like that. In this case, the very first ingredient on the list is the protein (specifically, a blend of whey protein concentrate and whey protein isolate). Sugar doesn’t even make the list, and instead the brand uses stevia (a natural sweetener). Even then, the sweetener is quite a way down the list. Protein-wise, this brand has 18 g of protein for one serving of the powder. This makes it much more filling. The two powders have roughly the same serving size in terms of weight and are also very similar in calories. The whey protein is 100 calories per serving, while the Slim Fast is 110. However, in terms of volume, you do get more from a serving of the whey (on the left) compared to the Slim Fast (on the right). Despite the similarities between the brands in terms of calories, there is a major difference in where the calories come from. So, with Slim Fast, you are getting most of your calories from sugars and a bit extra from fat. For Designer Whey, most of the calories are coming from protein, which is what you actually want. This means that Slim Fast will do little to affect your hunger, where whey powder can actually be an effective replacement for a meal. Overall, these differences show that many protein products marketed for weight loss don’t actually do well at this task. I know this from my own experience too. A smoothie made with Slim Fast might keep me full for an hour or two if I’m lucky while an identical smoothie made with whey instead will keep me full until it’s time for the next meal. It’s pretty clear which of the two approaches is best for weight loss. Now of course, there are other brands and types of protein powder out there that aren’t as bad as Slim Fast, but there are many like Slim Fast that are marketed as something that they really aren’t. This is a concerning practice and a far too common one. The prevalence of this practice makes it so important to learn about the protein powder that you plan to take and how it compares to other brands and types out there. There are a huge number of options for whey out on the market now. You can find brands in the supermarket, in health food stores, and even from many MLM companies. However, there is a lot of variation between the products. One thing to look out for is the ingredients. A key concept of taking whey protein is the health benefits that it offers. You undermine this benefit if you aren’t careful when you choose what to buy. In particular, a number of companies add refined sugar or other unhealthy additives into their product. This is a concerning practice, because you don’t want added sugar if you are trying to lose weight. In many cases, sugar is actually the second ingredient on the nutritional label. That’s a lot of sugar and all it does is improve the taste of the powder (sometimes it doesn’t even do that). There are better ways to improve the taste, without relying on sugar to do it. In general, whey can be broken down into two key categories: whey concentrate and whey isolate. Whey concentrate is the most common form of whey protein and it is also the least expensive. Because of this, many of the cheaper whey protein products will probably have whey concentrate in it. Whey concentrate contains between 70% and 80% protein, with relatively low levels of fat and lactose. The price makes whey concentrate the most popular type of whey protein. Additionally, it also tends to taste better. Whey isolate, on the other hand, tends to be a more expensive form of whey protein. It is much higher in protein (upwards of 95%) and has fewer other components. Because of this, whey isolate tends to be absorbed faster and is the best approach for getting protein into your body quickly. In general, these differences make whey isolate more desirable. However, whey isolate is also more purified than whey concentrate. This process means that some of the useful compounds in the protein are no longer active, such as immunoglobulins and phospholipids. Nevertheless, the process used to create whey isolate does not change the amino acid sequence of the whey protein, so both types are effective for muscle building. Finally, there is a third type of whey protein that is less common, known as hydrolyzed whey isolate. This is a form of whey isolate that has been broken down further. This results in a similar pattern, where hydrolyzed whey isolate is absorbed faster than whey isolate (and whey concentrate), but contains fewer nutrients. Likewise, whey isolate is absorbed faster than whey concentrate (53). Overall, these differences mean that there is a tradeoff between how fast the protein is absorbed and the nutrients that it contains. It is also worth noting that most of the research into whey protein has focused on the isolate rather than the concentrate form. It is likely that the health benefits are similar across the different forms, but more research is needed to know which form is the most effective. Some companies try to get ahead of this debate by using a combination of two (or more) forms. For example, the brand Designer Whey uses a blend of whey protein isolate and whey protein concentrate (although they do not specify how much they use of each). Ultimately, which form you choose is going to depend on your own needs and your budget. If you are trying to get in as much protein as possible, or if you want to reduce calories as much as possible, whey protein isolate is a better choice. In contrast, if you have a limited budget or want more potential health benefits, whey concentrate may be the way to go. For most people, whey protein concentrate (or a product that mixes concentrate and isolate) is probably the best option, especially because of the price and the taste differences. However, if you have problems tolerating whey concentrate, or if you are trying to keep carbs and fat as low as possible, then whey protein isolate, or whey protein hydrolysate, offers a good alternative. There are a lot of whey protein brands out there, and these vary considerably in terms of quality and price. Ideally, you would want to buy the highest quality whey protein possible, with the fewest added ingredients and the highest protein content. In practice, this is easier said than done. When it comes to buying food and health supplements, most people have to find a balance between how good the product is and how much it costs. Whey protein is a very good example of this because even the lowest quality whey tends to be expensive, much more so than some other types of protein powder. For example, it’s pretty common to see tubs of whey protein for upwards of $50 and even the smaller containers are often more than $20. What you end up going with will depend on your own needs and finances. Despite the cost though, it really is worth picking up whey protein and including it in your diet. If the price really is an issue, start off with a small container and go from there. This is a good way to figure out what particular brand and flavor works for you. Typically, whey protein is available as a powder, either flavored or non-flavored. You can simply take the protein powder and combine it with either milk or water and then drink it, but there are also a lot of other options. One common approach is to include whey protein in a smoothie with a range of other ingredients. By doing this, you can make a drink that tastes fantastic. This is a great option to make sure you actually have the whey protein as often as you want to, as people are more likely to do things that they enjoy. Additionally, you can use smoothies as a way to get a number of other healthy ingredients into your diet. For example, here are five quick recipes for smoothies that taste great, are healthy and can get you going. When it comes to smoothies, your options are pretty much limitless. Basically, you want something frozen, the powder and some kind of liquid. Everything else is really up to you. You can even skip the frozen component altogether if you want something that resembles a milkshake. Smoothies can be a great way of getting other healthy components into your diet, like cinnamon, ginger, raw ﻿﻿﻿﻿honey and almonds. The best approach for finding good smoothie recipes is simply to experiment. Have a think about the ingredients that you have and what will work well with them. Some of the hacks below can help to give you more options for making smoothies. You can buy bags of frozen berries at the grocery store, or you can freeze fresh berries that you have bought or picked. Frozen berries can be used as-is, without the need to thaw. This means that you don’t have to worry about them going bad in the fridge. Using frozen berries lets you get around putting ice in your smoothie. The berries give the same texture that ice will, but they don’t dilute the taste of the smoothie. Other fruit can also be used frozen, like bananas and mango. Using frozen bananas is actually a very good choice for smoothies, as they tend to become very creamy after they have been frozen. They also make fantastic smoothies with chocolate whey powder and a bit of peanut butter (or almond butter). In this post, we’re talking about smoothies as a good way of using protein powder. However, they’re also a good way of getting vegetables in your diet. In fact, you can include greens in many smoothie recipes without dramatically altering the taste. This lets you get the greens into your diet easily. If you do plan on including greens in your smoothies, one shortcut is mixed packets of greens that some grocery stores offer. One type that I have frequently seen is a ‘power’ mixture, offering a combination of Swiss chard, kale and spinach. This is a fantastic combination for smoothies, as all three offer highly significant health benefits. The site One Green Planet offers useful advice on how to make smoothies taste less 'green'. To get the smoothie texture, it’s best to use ice or something frozen. The most common approach is ice itself or frozen berries, but there are a lot of other options. For example, you can freeze leftover smoothie that you don’t use, or you can freeze milk. All of those approaches give you ice to put in your smoothie that won’t dilute the final taste. Another approach is to freeze coffee that you have made. Along with chocolate whey protein, this can be a good way of making a mocha smoothie that rivals anything you get from Starbucks. Plus, it is much more filling and definitely better for you. A trending idea recently has been smoothie bowls and these are particularly good for breakfasts. Smoothie bowls are essentially smoothies that you can eat with a spoon, so they are a bit thicker. You make them the same way as a normal smoothie, just focus more on frozen and dense ingredients while including less liquid. Smoothie bowls are often topped with healthy additions, like nuts, seeds, oats and berries. They're not hard to make either. In fact, Minimalist Baker offers a 5-minute recipe that's perfect for getting started. You can vary these bowls up just as much as a smoothie and they are fantastic if you have the time to sit down and eat breakfast. You also tend to eat a smoothie bowl much slower than you would drink one and this can make the smoothie more satisfying overall. By far, smoothies are the most common way that people include whey protein in their diet. They are a fantastic option, but you can also use whey protein in other food. One really good example is protein bars. Of course, you can buy protein bars from the grocery store, but you can also make your own protein bars – ones that are less processed and much healthier. Like smoothies, making your own protein bars gives you more control over what goes in them, and you can tweak their taste to what you find appealing. Making your own protein bars can be a bit of work. However, you end up making a decent amount of bars at one time. This means that later in the week they are there simply ready for you to grab and go. In general, the recipes for protein bars tend to be more complex than smoothies, so I’m not going to include any in this post. However, Daily Burn offers a list of some protein bar recipes, as does Desserts with Benefits. There are many other lists online too. The great thing is that you don’t have to look for recipes that contain whey protein powder. Whey protein powder will work fine in any recipe that calls for protein powder in general (such as ones looking for soy protein). There are also other recipes that you can use protein powder in. This includes baking, sweets, pancakes and desserts. You can actually make really good food with whey as long as you are careful with the recipes. You can buy whey protein as a powder or as ready-to-drink shakes. The ready-to-drink shakes can be appealing because they are easier to use and you can take them on the go. Most of the time, the ready-to-drink shakes don’t need to be refrigerated until they have been opened. This adds to their convenience. However, you have a lot less control over these prepackaged shakes. For the most part, ready-to-drink protein shakes taste good. Part of that is a marketing approach, especially as the drinks are often targeted towards more casual consumers, many of whom don’t bother to check the ingredients. The drinks often tend to be promoted as very healthy and nutritional, and they are often targeted at people trying to lose weight, to gain muscle or get all of the vitamins and minerals that they need. Yet, the marketing isn’t always all that accurate. For example, this is the ingredients list from a ready-to-drink soy protein product (specifically, a Boost High Protein Rich Chocolate shake). You can see similar patterns with whey ready-to-drink products too. A key thing to note is the sugar (which I highlighted). Sugar is right at the top of the ingredients list (second only to water). Indeed, the entire 8 fl oz bottle of protein shake contains 27 g of sugars. This might be okay if you were using the protein drink after an intense workout or if you were having it instead of a meal, but people often end up turning to these shakes as ways to ward off hunger between meals. There are some decent ready-to-drink protein shakes out there, but you have to take the time to look for them. Many of them are like Boost and may end up sabotaging your efforts to lose weight or gain muscle. On average, pre-mixed protein drinks tend to be higher in fat, preservatives and sodium, making them a less healthy choice (54). Still, some options are better than others. However, when you make shakes yourself, you can find healthy ways of making them taste good. You don’t have this option with pre-made shakes and you have to rely on whatever the company does instead. If you are careful with your selection, ready-to-drink whey protein shakes can be a good way of getting whey protein into your diet. But, if you aren’t out and about, I’d suggest focusing on making protein shakes yourself. Ultimately you have more control over what goes into them. Protein bars are immensely popular. They are easy to carry with you, faster than making a protein shake and very easy to eat on the go. But, there is also a lot of debate around protein bars. People often end up eating protein bars as snacks or replacements to meals, but many protein bars don’t work as well in this role. Additionally, many protein bars aren’t all that healthy to start off with. One major issue with protein bars is that they tend to be heavily processed and are often high in fat and calories (55). In many cases, protein bars have a lot of hidden sugar. Protein bars can be useful, but it is extremely important to choose them carefully and to pay attention to what the bar for. In fact, if you choose protein bars off their product claims alone (which often include the concept of ‘healthy’), you may find yourself eating bars that are little better than candy (56). Protein bars also vary considerably in their protein levels. For example, protein bars in the Slim Fast range offer around 10 g of protein, along with 190 calories. The bars are also small, weighing around 45 g.
In contrast, a protein bar from the MET-Rx range is around 85 g, and contains 29 g of protein. The bar also contains 300 calories. Perhaps the most telling difference between the two bars is that the Slim Fast one has 9 g of sugars, while the MET-Rx one has 3 g, even though the latter is a bigger bar. This means that for the MET-Rx bar, most of the calories are coming from the protein while this is not the case for the Slim Fast bar. There are various recommendations out there, but at the very least you want to find a protein bar with more than 12 g of protein, preferably 20 g or more. Picking a lower protein bar will not satiate you for long, and you will probably end up adding more sugar to your diet than you want to. Protein bars that specifically use whey are less common than general protein bars and you will have to shop around for them. However, even with whey protein bars, you will find that many are loaded with sugar. A side issue is that the bars with high amounts of protein and low amounts of sugar don’t always taste that great. This is why protein shakes often work better because you can make them taste great without having to worry about lots of added sugar. It is also worth noting that high protein bars often come with a recommendation that ​you drink a full glass of water while you are eating them, which helps address any dehydration and makes the bar a bit easier to digest. At the same time, low sugar bars will sometimes use sugar alcohol. This ingredient can cause gastrointestinal discomfort for some people and even diarrhea in some cases. One recommendation for how much whey protein to have is to use the serving size from the manufacturer as a guide. This can be effective in many cases, and can stop you from overdoing it with whey protein. However, it’s only ever a very rough guide, especially as companies vary considerably in how much protein their powder contains. The most significant reason for having whey protein in your diet is to increase your protein intake. Because of this, the amount of whey protein that you should be taking is directly related to how much you already have in your diet, as well as what you are doing. For example, if you eat few high protein foods, you might need more whey protein than a person who frequently eats high protein foods. Likewise, athletes need more protein than non-athletes and active people need more protein than people who are sedentary. The best way to figure out how much protein you get in a diet is to record everything you eat for a period of a few days to a few weeks. You can then calculate your rough protein intake from that information. If you already have a substantial amount of protein in your diet from whole food sources, then you might not even need whey protein. After all, whole foods will tend to contain more nutrients than whey protein, which is more processed. If you’re using protein for weight loss, your approach might be a bit different. For example, some people choose to substitute one meal in a day with a whey protein smoothie. Because protein is satiating, a high protein smoothie can be a substitute for a meal without leaving a person feeling hungry. A common approach is to have a whey protein smoothie for breakfast, as people are often in a hurry then anyway. While it might be better to have a full breakfast, it is certainly better to have a protein smoothie instead of skipping breakfast. If you are replacing a meal with a smoothie, then you might not need to calculate out your protein. However, a whey protein smoothie doesn’t contain all of the nutrition that you need, so it is still important to have whole food for your other meals and make sure your diet is balanced. There has been considerable interest in finding the optimal amount of protein per day for the average person. The official Dietary Reference Intake (DRI) for protein, is 0.36 grams per pound (or 0.8 grams per kilogram) of body weight (57). This calculates out to somewhere around 56 grams of protein per day for the average male and 46 grams per day for the average female. This is a relatively easy level of protein to hit, however, some people are still deficient in protein. If you are trying to gain muscle, then your aims might be different. For example, one study found that levels of protein up to 0.8 grams per pound were beneficial for muscle gaining (58) while another study indicated that levels just above 1 gram per pound were most effective (59). It’s important to note that these are very rough estimates, especially as the outcomes of research vary considerably and there is so much variation between people. Nevertheless, the modest DRI recommendation shouldn’t be taken too seriously, as it is only focused on avoiding deficiency and does not consider the health benefits of protein. There is actually very little evidence for harm from too much protein (despite the popular myths), so aiming for the high end of protein intake may make sense for many people. When Should You Take Whey Powder? The most common consumption patterns for whey powder are first thing in the morning and either before or after a workout (with afterward being more common). If you are using whey protein as a meal replacement or to stop you from being hungry for a while, the timing doesn’t matter too much. Basically, you just want to pick what works for you. Breakfast seems to be the most common meal picked, and this is probably because people often run out of time for breakfast or just want breakfast to be quick and easy. However, other times of the day works just as well. Some people also recommend having whey protein first thing in the morning, because some muscle breakdown occurs overnight (60). For building muscle, taking whey protein after exercise is an important approach to get the most out of your exercise (61,62). However, this approach is mostly limited to bodybuilders and people engaging in intensive resistance exercise. It can still be beneficial if you are trying to get toned, but it isn’t as necessary. Likewise, there are some recommendations for drinking whey protein prior to exercise, to help promote muscle development. This is partly connected to how quickly protein is digested, meaning that it can play a role as you are exercising. It is important to note that the recommendations of taking whey protein first thing in the morning, before exercise and exercise are focused specifically on body building. If you are just trying to lose weight or get toned, taking whey protein all of these times might not be beneficial because of the calories that you would be taking in. Because of this, you should choose when to take whey protein based on your own needs and what you are trying to get out of the supplementation. Some people may find that they need considerably more whey protein than the normal population. The most common example of this is body builders, who need to take in more protein than normal to build muscle. However, there are other groups of people who may need to take in more. For example, people who are obese can often be deficient in protein, especially if they eat primarily processed food (63). Additionally, the recommendations for protein intake are based on weight. This can mean that the recommended protein dose for obese people may be considerably higher than they are taking in. People who have had bariatric surgery can also face challenges with protein intake, as they are often unable to tolerate many normal sources of protein (64). There are other reasons why people may need to take in more protein, such as medical or genetic factors. However, if you feel that you need to take in high amounts of protein, you should talk about this with your primary care provider. They can help you figure out how much protein you should be taking and whether whey protein is a good way to go. Having specialized dietary requirements can be challenging enough when you are eating whole foods, but it gets even more confusing when you consider things like whey powder. One of the challenges with whey powder is that there is often considerable variation in the ingredients used. Pure whey protein is gluten free. However, you do have to check the ingredients of any whey powder that you plan on trying. In particular, some brands of whey protein contain peptide bound glutamine, which comes from wheat protein (65). Any whey powder with this addition should be avoided by anyone on a gluten free diet. As whey protein is produced from milk it cannot be part of a vegan diet. However, its status in a vegetarian diet is a little more complex. Generally speaking, food cannot be included in a vegetarian diet if it is a byproduct of the slaughter of animals (although individuals have their own variations of the diet). In some cases, the processing may use a product from animal slaughter to separate the whey, which would make the powder non-vegetarian. In other cases, this may not be an issue. Manufacturers don’t tend to offer this type of information on their labels, so you would probably have to contact the manufacturer directly to find out. It is kind of a gray area and some vegetarians do choose to go with whey protein while others avoid it. However, some manufacturers specifically choose to develop their whey in a way that does not use slaughter products, and this whey is sometimes labeled as vegetarian-approved, or as kosher and halal approved. Whey protein labeled in this way does not pose any ethical concerns for vegetarians. Alternatively, there are a number of other types of protein powders that are plant-based (such as soy protein). While these do not offer all of the benefits that whey protein has, they are still beneficial for health. Soy is the most common example of a vegan protein powder, although there are a number of others out there. If you are lactose intolerant, you need to be very careful with whey protein. The protein is derived from cow’s milk, and because of this it still contains lactose. However, whey protein isolate contains very little lactose because of how it is processed. This means that most people who are sensitive or intolerant to lactose can take whey protein isolate (but not whey protein concentrate). Despite this, you do need to be aware of how your body responds to the whey protein and see whether you get any symptoms from trying it. While most people can consume whey protein isolate without issues, some do experience reactions, especially in cases of athletes who end up consuming much more whey protein than non-athletes. If you are intolerant or sensitive to lactose, some of the reactions to watch out for include large amounts of gas, bloating, diarrhea and stomach cramps. Does Too Much Protein Cause Weight Gain? Perhaps the most common quoted side effect for too much protein is weight gain. Protein itself doesn’t tend to do this, at least, not on its own. In many cases, protein can contribute to weight gain because of its high-calorie content. This is why some people use protein shakes in addition to meals to gain muscle or to gain weight. However, as long as you keep your calories in check, the protein itself isn’t going to contribute to weight gain. Multiple studies have indicated that a high protein diet contributes to weight loss and increase satiety versus an isocaloric (same calories) diet with lower protein (e.g. 66,67). An ironic thing about this is that people claiming high protein diets cause weight gain cite articles like this one from Time. This article basically says that in a study where everyone overate, the people on high protein diets gained more weight than those on low protein diets. That’s hardly surprising when high protein foods are often higher in calories than low protein foods. In general, whey protein will not make you gain weight, nor will protein itself (I’m referring to fat here, as you might gain weight from muscles, but that’s just semantics). However, with whey protein you are typically taking in protein and calories in the form of a liquid. This tends to be less satisfying than consuming the same amount of calories in a meal (which is one reason for trying smoothie bowls). Because of this, it is easy to eat too much food. For example, whey protein smoothies are commonly used as meal replacements, and they work well in this role. However, if you find yourself eating the same amount of food either way, then you will gain weight instead of losing it. To avoid this, you need to pay careful attention to what you are eating and the calories in your whey protein (as well as in anything you add to a smoothie, like milk). Another example is the recommendations that surround whey powder consumption. Typically, the containers and many websites recommend taking the powder when you first get up, before and after exercise. Having whey protein that often if you are trying to lose weight may be detrimental, and you are likely to end up having far too many calories. You also need to avoid whey protein powders that contain added sugar. In many cases, the amount of sugar added is significant and can sabotage your efforts to lose weight. There are some concerns that too much protein may be damaging to health. Much of this perspective comes from the recommendations for how much protein people should be consuming. For example, a common estimate is around 15% of your daily calories as protein, a goal that most people are already hitting (68). However, this recommendation is based on how much protein you need to avoid being deficit. Another estimate is that people need 0.8 grams of protein for each kilogram they weigh, every day. This translates to 0.36 grams of protein per pound per day (69). This is a really low amount and most people probably already get this in their diet. Once again, the recommendation is based on how much protein you need in your diet to avoid the loss of muscle. The recommendation doesn’t provide any information about how much protein you need to boost weight loss, to build muscle or to be healthy in general (70). For example, a person weighing 200 pounds would need 72 grams of protein per day under this calculation. That’s easy to meet. But, it doesn’t mean that having more than this level will harm you. In fact, active people should be consuming higher levels of protein, especially if they are trying to build muscle. Research also indicates that current recommendations for protein intake are not adequate for some groups of people, particularly for older adults (71). Additionally, many discussions on this topic focus on bodybuilders using protein powders. Because of these factors, discussions on how much protein you should be having tend to pay little attention to the role that protein can play in weight loss and in health in general. In fact, many people who are trying to lose weight inadvertently end up cutting down the amount of protein in their diets in an effort to decrease calorie intake. In general, there is little evidence to suggest that healthy people should limit their protein intake. In relatively rare situations, too much protein may be a significant issue. However, this largely applies to situations where people are consuming large quantities of protein. For example, if you are getting substantial amounts of protein from meat and other sources, then you probably don’t need to use protein powders as well. In fact, if you are already getting a lot of protein elsewhere, whey protein powder won’t really do anything for you. The other thing to consider is overall calorie intake. If having a lot of protein means that the amount of calories you take in is higher than desirable, then yes, it will have negative impacts on your health. It will even contribute to weight gain and additional stress on your body. Nevertheless, this isn’t really an indication of risks associated with protein. Instead, it is a reminder that we need to be aware of what we are eating. If you are trying to lose weight or build muscle, you should already be paying close attention to your diet. There are concerns that a high protein diet can increase the strain on kidneys and the liver, causing significant damage. This claim isn’t all that accurate. Instead, research on the topic has indicated that people who currently have kidney disease experience health issues when they have high protein diets (72,73). The same isn’t true for people with healthy kidneys. In fact, there is no evidence that high protein diets have any impact on healthy kidneys (74). Realistically, all the articles online that claim protein damages kidneys, either cite those two articles about kidney disease, or they just cite each other. The idea that protein can harm healthy kidneys doesn’t really make sense anyway. Yes, protein does make kidneys have to work a little bit harder. However, the kidneys are responsible for sifting through around 200 quarts of blood every single day (75). This is a huge amount of effort, and increasing your protein intake is kind of like adding a cup of water to a lake, it’s not going to do a whole lot. Instead, protein intake may be indirectly beneficial to the kidneys because of the mechanism behind kidney disease. Two key risk factors for kidney disease are diabetes and hypertension (76). Protein can significantly decrease the risk of high blood pressure (77,78) and it can also improve glucose control for patients with diabetes (79). As such, protein acts to improve key risk factors associated with the development of kidney disease. In the end, increased protein intake may slightly increase the work that the kidneys have to do, but not in a significant manner. The balance of evidence strongly indicates that protein benefits rather than harms the kidneys. Another myth about high protein diets concerns osteoporosis. The claim is based on the idea that high protein increases acid within the body, forcing your body to use calcium from your bones to neutralize it. There is some evidence for the short-term loss of calcium, but not for long-term loss of calcium (80). Instead, protein may help to improve bone health, rather than harm it (81). A review on the topic indicated that protein may work with calcium to improve bone metabolism and calcium retention (82). Protein intake has also been positively associated with bone mass in women (83) and a decreased risk of fracture for some groups (84). These outcomes directly contradict the idea that too much protein can damage the bones. In fact, protein can be considered an essential nutrient for good bone health, in the same way that calcium and vitamin D are (85). Some people restrict protein based on myths like this, and this might actually decrease their bone health. This is especially true in the elderly, who often consume less protein than other age groups (86). Often people claim that high protein diets are hard on the body and can contribute to poor health outcomes. Honestly, it’s a bit of a general claim, and it feels like people are just grasping at straws. For example, an article in the Huffington Post lists three side effects of too much protein. One is weight gain, which we refuted above. One is kidney problems, but the cited information just claimed that high protein diets can cause kidney problems in people with kidney disease. I’ll come back to that one more in a bit, it is true, but only for people who already have kidney problems. The last one was being dehydrated. However, the point the article makes about this is just that you need to drink more water as your protein intake increases. That doesn’t mean that dehydration is a sign you are eating too much protein. After all, I get dehydrated after a good run too. Does that mean I’m running too much? One of the challenges with claims about high protein diets is that they often make assumptions about the diet and the people who consume lots of protein. Sometimes people will assume that a high protein diet means that you are eating high amounts of fatty meat and are avoiding fruits and vegetables. But, for many people, that isn’t true at all. In fact, if you’re trying to lose weight on a high protein diet, your eating habits are probably quite healthy. In reality, there isn’t much support for claims about the dangers of too much protein. Most of the articles on the topic just cite one another or cite research that has very little to do with the topic at hand. For example, many articles on the topic cite this post at the Mayo Clinic. The post talks about the risk of certain high protein diets, including ones that lead to nutritional deficiencies and ones that rely heavily on red meat (however, see my post on red meat for relevant information). The post also says that any effective high protein diet should be healthy and focus on making sensible choices. It doesn’t actually say anything negative about high protein itself. The number of myths surrounding protein intake is concerning. In most cases, there is very little evidence for these perspectives and often plenty of evidence that they aren’t true. Yet, the myths continue to prevail and even reputable sites and groups, like the American Heart Association, suggest that high protein diets offer health risks (87). The worst part about this is that high protein diets can offer significant health benefits, especially when it comes to weight loss. Additionally, there are many more proven negative health outcomes from being overweight than there are from having too much protein. Despite this, the myths surrounding protein consumption mean that people avoid high protein diets. For many people, this can lead to the typical yo-yo pattern of dieting. In contrast, high protein diets tend to make people feel full more of the time, which makes them easier to follow. In general, whey protein tends to be well tolerated and can be considered safe for both adults and children (88). However, as with any significant change or addition to the diet, there are some factors that you need to consider. One area to be aware of in relation to protein is the potential for dehydration. Some research indicates that high protein diets can cause dehydration (89). The study in question was on athletes, but it does suggest that similar effects might occur for non-athletes eating high protein diets. This doesn’t mean that you shouldn’t eat a high protein diet. Instead, it suggests that people should be careful to keep their water intake up when they are eating this type of diet. While whey protein is safe and well-tolerated by most groups of people, there are some exceptions to this rule. As I mentioned above, if you have kidney disease, then you should avoid whey protein. Indeed, with kidney disease, you should be avoiding high protein diets in general. Likewise, if you are sensitive to lactose, you may have to avoid whey protein. Many people in this situation can have whey protein isolate as it has almost no lactose in it. However, some people cannot even tolerate the isolate. It is also possible to be allergic to whey specifically. If this is the case, then you would be unable to consume any type of whey protein. The recommendations for protein in the diet tend to be on the low side, but it is still possible to have too much protein. Having too much whey protein can result in some negative side effects, including cramps, bloating and headache. These can be easy to spot and don’t cause long-term harm. So, if you find side effects from whey protein, you should look at making changes to your consumption. This might include decreasing how much whey protein you have, changing when you have it, swapping brands or even stopping with whey protein altogether. How Accurate are the Ingredients Labels? The nutritional labels on whey protein provide important information about the form of the protein, what added ingredients are present and how many calories you are consuming. However, ingredients labels are rarely 100% accurate. Instead, companies may over- or under-estimate the amount of different elements. For example, one company conducted lab research on 73 different protein products (including some whey protein products). They found that some nutritional elements were very different than their labels suggested. In particular, sodium was often much higher than the label estimated and calcium was often lower (90). With whey protein isolates, there is also an additional factor to consider. Whey protein isolates are much higher in protein content and they are also more expensive to produce. There is always the risk that companies fill out whey protein isolate using whey protein concentrate, without marking it on the label. When it comes to product labels, there is always some risk that the product is different than what they claim. Sometimes this might be an honest mistake, other times it might be intentional. As consumers, we have little way of knowing when a label is accurate or inaccurate, and this is true for any product. If you do have problems with whey protein, the simplest approach is to try a different brand. Often you will find that any issues are brand specific, rather than the result of whey protein itself. Whey doesn’t have a particularly good taste on its own and most powders are flavored to get around this. Chocolate, strawberry and vanilla are all common flavors, and there are other less common ones, like double chocolate, vanilla almond and white chocolate. There isn’t much of a health difference between the flavors, so pick whatever flavor suits you. Unflavored whey is also available. This might be preferable if you plan to mix the protein in with something that has a strong taste of its own. For example, many people chose to use whey protein in berry-based smoothies or in green smoothies. The flavor of these types of smoothies will tend to mask the flavor of the whey. Unflavored whey is also a good choice if you are trying to reduce the amount of added ingredients as much as possible. Some Say That Whey Protein is like Mother’s Milk, is That True? The protein in milk from cows is around 20% whey and 80% casein. Human breast milk also contains both whey and casein proteins, but the ratio is different. With breast milk, there is around 40% casein to 60% whey (91). This ratio of protein means that breast milk is digested quickly. This difference does mean that whey protein is more like mother’s milk than it is like cow’s milk, but regardless, whey protein is present in both. What about Other Types of Protein Powder? As you may know, whey protein is just one type of protein powder readily available. Soy protein is a fairly common type of protein powder, and other types include casein, hemp, pea and brown rice powders. Additionally, some of the cheaper protein powder brands don’t reveal the source of their protein. This is particularly true for powders that are targeted at weight loss. Many of the advantages of whey protein are also present with other protein powders, but not all of them. Ideally, you want to match the powder you choose to your needs. For example, endurance protein powder blends often combine soy and whey protein. This approach can provide sustained energy for athletes and for people doing endurance activities. In some cases, the product mightn’t even make it clear what sources the protein comes from. If you are trying to lose weight, it is best to stick to 100% whey powders. One reason for this is that soy powder is relatively high in calories. This is great if you are burning that off with exercise, but if you aren’t an athlete, then whey protein is a better choice. What about Whey Protein and Body Building? Whey protein is often used as a supplement for people trying to build substantial amounts of muscle, especially in relation to body building. Advice about using the powder in this way often focuses on having the powder either before or after a workout. This is something that I haven’t covered in much depth as part of this article, nor do I plan to. Bodybuilding is an entirely separate topic and people who are actively trying to build muscle in this way have to consider a wide range of factors about their health and nutrition. They also have additional factors to be aware of. For example, body builders might need to have more whey protein and often need to be very specific in what they eat and don’t eat, as well as the timing of their food intake. If you are planning to get into bodybuilding, I’d suggest taking the time to research the topic in depth and find out ways of doing it safely and effectively. I’ve chosen to focus on whey protein for health and for weight loss in this article, because my expertise does not extend to bodybuilding, and because health and weight loss are key areas that this site focuses on. What’s With All the Ingredients? Even though whey protein offers a considerable number of health benefits, it isn’t the most natural compound out there. To start off with, whey is a byproduct of cheese manufacturing and it goes through a number of steps before it gets to the form of whey protein that we recognize and use in drinks. Because of this, the end product does tend to have a rather large ingredients list, which can seem a little off-putting. For example, this is the ingredients list for French Vanilla powder from Designer Whey. How complex the ingredients list is really depends on what product you are going with. For example, the more expensive and higher quality protein powders do tend to have fewer ingredients. As you can see though, even the more expensive products tend to have a number of ingredients, including artificial and natural flavors. If you are concerned about this, the best approach is to look for products that are as natural as possible and are unflavored. For example, many grass fed whey brands just contain whey and nothing else. However, most of the ingredients that you see in whey protein are important for its function and contribute to health, rather than take away from it. As with food or supplement, the single-most important approach that you can take is to examine the ingredients list, look up anything you aren’t familiar with and make sure it meets your needs. Whey protein is a big topic – and I haven’t even covered all of it. The protein is fascinating – and some people love it, while others don’t want anything to do with it. Whey protein really is a great way of getting protein in your diet, especially if you are trying to lose weight. It's also very relevant for the older population and for anyone else at risk of losing muscle mass. If you can get enough protein in your diet through good, healthy, whole foods, then that really is the best way to go. 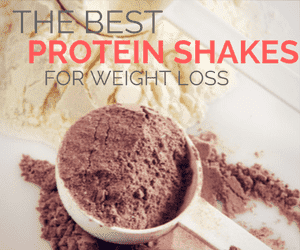 However, for people on the go, for people looking for weight loss solutions and for people who don’t get enough protein otherwise, whey protein really is worth trying. Finally, whey protein is a great choice for anyone trying to increase their lean muscle mass, a practice which offers many health benefits. That’s awesome. I’m glad I could be of service.